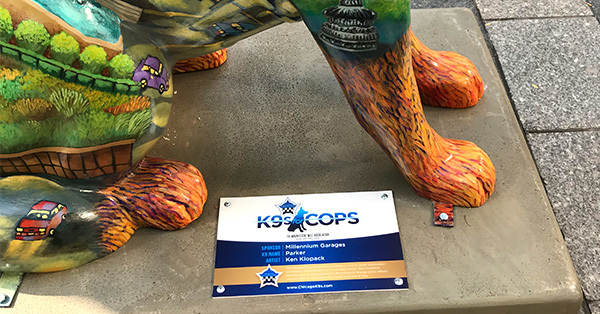 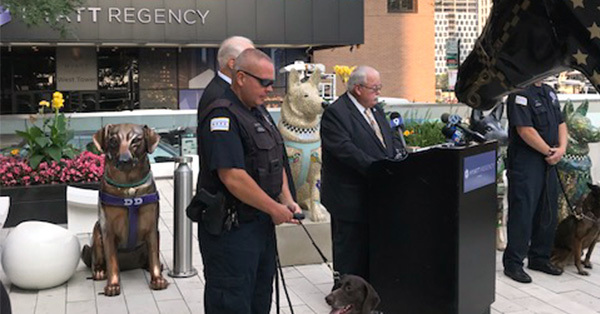 The Chicago Police Memorial Foundation launched the Chicago K9s for Cops public art campaign on August 13th, to memorialize the important work of the City’s Canine Unit and to support families of police officers who have been killed or severely injured in the line of duty. 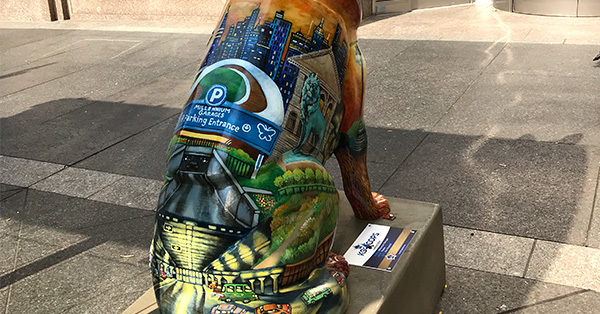 The magnificently designed “Parker” is sponsored by Millennium Garages in Chicago and SP+. 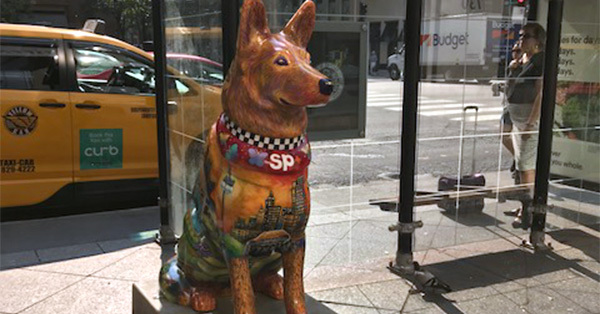 Parker will be displayed until September 30th at 730 N. Michigan Avenue in Chicago.